Rock out to your favorite metaltunes of your childhood and today! Not the air guitar, but a plastic guitar will be the instrument of the evening when the concert kicks off in our Stage Area. Who will we see on stage? The CampZone visitors themselves of course! 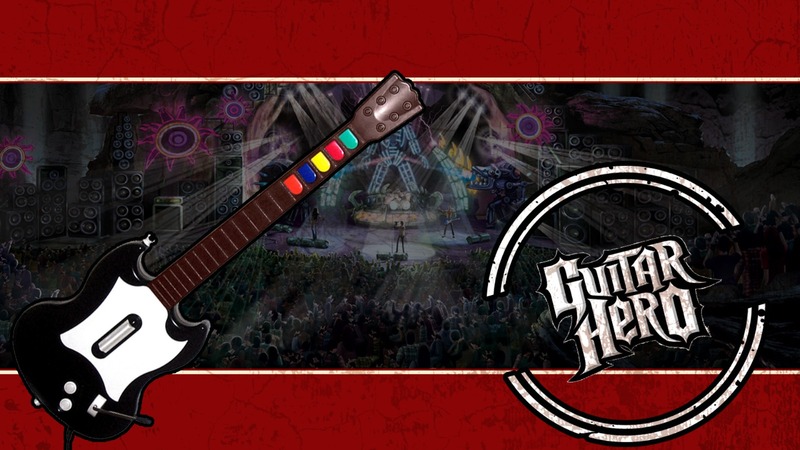 The Guitar Hero competition at CampZone will test your skills with a fake guitar by having you perform the best songs right on our stage. So join us in the Stage Area on to jam out to the hardest and best songs of ye olden days and rock the stage with a plastic guitar! The Guitar Hero games are musical rhythm games in which you have to hit the notes at the right moment with the right button on your controller to the beat of the music. A good hand-eye coordination and feeling for rhythm combined with a controller shaped like a guitar will make you feel like a true rock god. The tracks in the game consist of well known songs of varying rock and metal genres of the past and present, ranging from classic rock and pop to black metal and power metal.